Sometimes anime’s most impressive draftsmanship isn’t found in prestige projects, and that doesn’t make it any less interesting. 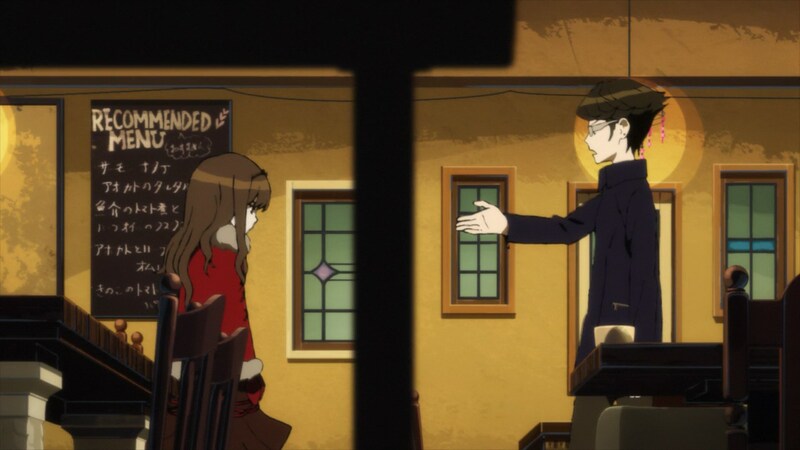 Calling Occultic;Nine polarizing is a major understatement. Not because it has a contingent of massive fans opposed to people who don’t enjoy it, that divide seems to be even more drastic; those who merely weren’t alienated by the first episode are already an exception when compared to the general reception. 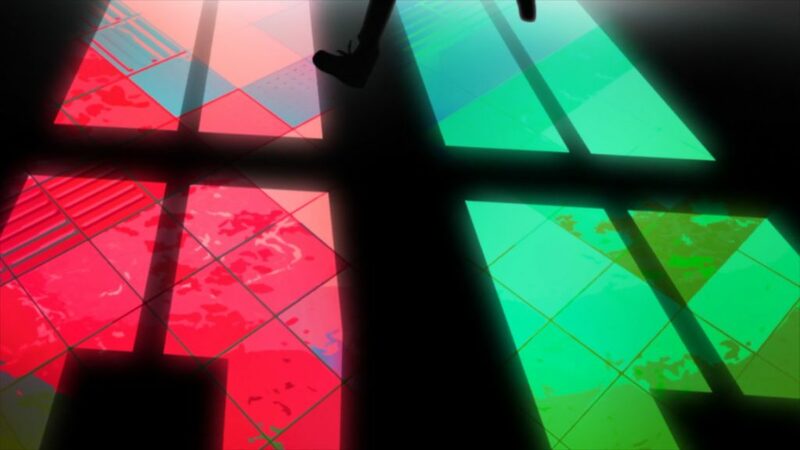 Unlike shows lacking any sort of personality and quickly vanishing from the animedom consciousness though, Occultic;Nine has actively earned this position. 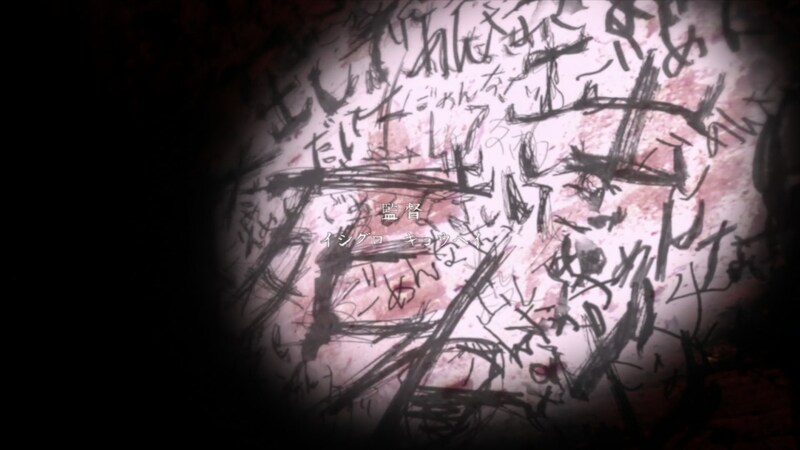 It’s easy to point to the first episode as an immediate turn-off cause, as it attempted to cover an entire novel by proceeding at an unhealthy pace. Its peculiarities extend far beyond that intro, however – a girl whose ridiculous proportions and bouncy movement amuse skillful animators as much as they frustrate viewers who aren’t fond of blatant objectification, the relentless dialogue with more winks to the audience than any actual points, the plotline aimed at those in love with the very concept of conspiracies and supernatural mystery… Occultic;Nine is a grotesque exaggeration of what latenight anime is, or at least of what it’s sometimes perceived to be. If you’re not part of the very particular subset of individuals it’s made for, there are countless reasons the show will make you feel like you’re not welcome. And yet I’m writing this as someone weirdly fascinated by the series, despite not really being part of the intended audience. 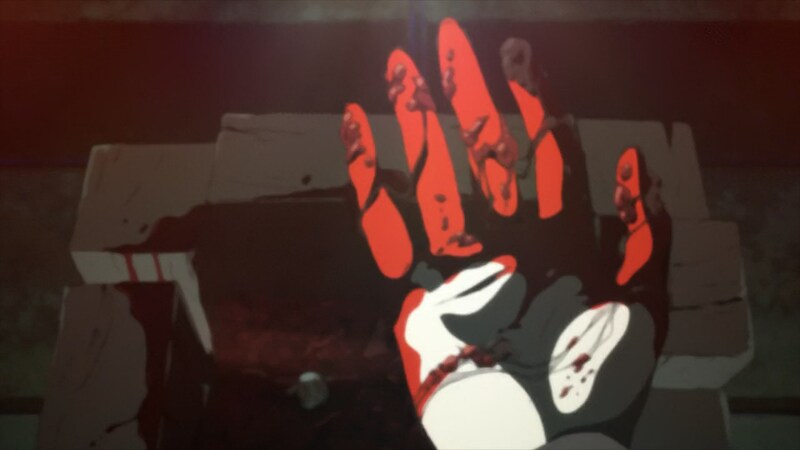 That’s because there’s obviously more to the show, which is the reason I’m bringing it up on this site to begin with – to put it simply, Occultic;Nine is a rather outrageous production. Not just a well animated series, though interesting motion is obviously part of its repertoire. Layouts, framing, sound direction, just about every little element you could itemize is notoriously strong, and even its shortcomings – like some questionable photography decisions when it comes to the lineart – are at the very least unique. Narrative media finding its hook almost exclusively on presentation is clearly not intended, but that doesn’t make it an illegitimate appeal; pointing at well-crafted anime and saying it’s just animation makes about as much sense as claiming a book’s prose is only the vehicle to deliver a Wikipedia synopsis, which is to say none at all. But let’s go back to Occultic;Nine, since uncovering its production mysteries seems more interesting than tackling that debate right now. Not that they’re much of a secret, to be honest! The points I brought up during the season preview have come to fruition in a major way. The series director Kyohei Ishiguro keeps on demonstrating that he isn’t only an interesting creator, but also either an excellent management person or extremely lucky; for quite a few years, A-1 have gained a poor reputation of being a place where talent gets crushed by the sad realities of the industry, and yet his two shows over there have managed to bypass that. 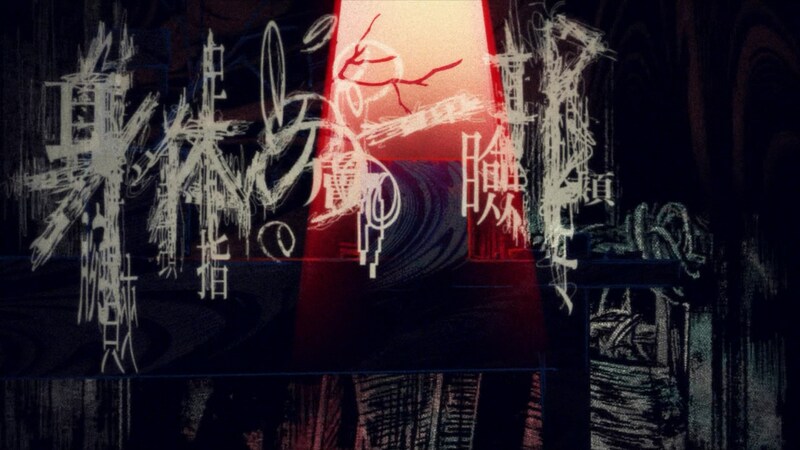 The first half of KimiUso was particularly consistent and full of rich animation, planned with enough time to even allow two episodes key animated by a single artist – one of them by Ryousuke Nishii, who achieved the exact same feat in Occultic;Nine as well. It’s not as if Ishiguro is an Anime Midas whose touch turns every production into gold – let’s not forget that he did also direct the frankly hideous Lance N’ Masques – but his performance at A-1 is very impressive. And he’s not alone, of course. The young Miyuki Kuroki serves as assistant director and is already proving to be a name to look out for. After her directional debut under Ishiguro’s KimiUso she went on to stand out in the second half of Cinderella Girls, eventually gaining enough experience to receive a more important role like this. 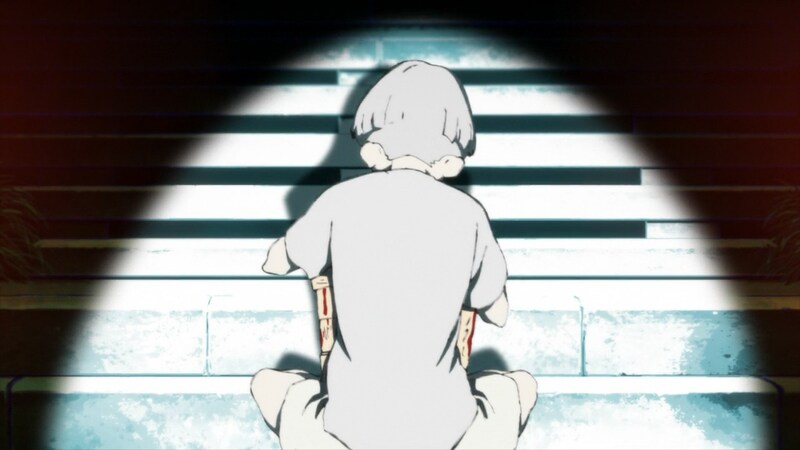 Incidentally, there’s a bit of a trend with newbie assistant directors doing an excellent job at A-1 as of late, since Toshimasa Ishii – also confirmed to be working on Occultic;Nine – even seemed to outshine a star like Tomohiko Ito on BokuMachi. Since I already have brought up the franchise though, it’s time to address another key element here: Idolmaster. More than any other A-1 project, the level of staff overlap with the fantastic crew in charge of both imas series is incredible – animators, directors, supervisors, a ridiculous number of notoriously skilled people have reunited to work on this show. Sprinkling that mix with some of the young animation talent that orbits around A-1 like Tomoaki Takashi and Keisuke Kobayashi you get a show that understandably can drag people in through creative power alone. You may not care about the supernatural mysteries waiting to be uncovered, but seeing how these people portray them is always interesting. Rather than going through all their work so far though, I’d rather focus on the latest episode and the artist who motivated me to write about the series to begin with. My personal love for Masashi Ishihama and his personal career are well documented over here, so I’ll spare you the reintroduction. His presence in the show isn’t surprising, as another acquaintance of Ishiguro who had already directed the opening sequence of the series. It seems like he still felt the need to greet the audience though, since the very first scene overtly embodies his style and oeuvre; an effective intro embracing a different visual style, communicating through shadows, with complex typography, and enveloping it all with digital grain filters – fans of From the New World will feel right at home. While that’s the moment that feels most distinctly Ishihama-esque, the highlight was clearly elsewhere. 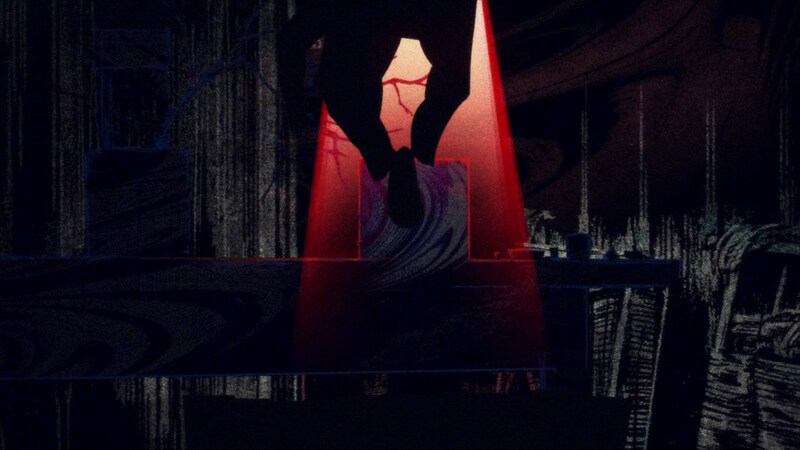 The buildup to the episode’s nasty reveal is appropriately unsettling, giving the mysterious box an eerie organic feel before the protagonists get their hands on it. Once the dead friend’s remnants are found inside, the camera barely lingers on the vile spectacle, balancing the glimpses of it with the horrified reaction. Relative restrain is often a more effective approach than a ruthlessly attacking the viewer, and this scene captures a repulsive act without feeling exploitative. As a rather verbose series, many scenes are conceptually simple setups with characters talking to each other that the visuals have the challenge to sell. I believe there is inherent worth in attractive layouts with no further intended meaning – even if it’s just on a passive level, you’re more likely to be absorbed by dynamic and interesting shots of people talking. Ishihama goes a step further though, and does try to frame them according to the situation. The one character known to have some control over supernatural powers appears in contrast to the main cast who don’t even believe in them, not only separating them but marking a clear superiority when she unleashes the black magic. These power dynamics are entirely reversed when she’s the one meeting the detective character, who throughout the show operates on a different level than everyone else. Perhaps the most striking scene is this long sequence, rather unusual and perhaps even uncomfortable to watch, but very deliberate; the detective is known for dancing around issues and teasing suspects with his knowledge, a spinning movement that becomes very literal here until it reaches the precise moment where he strikes. Scenes like this are like candy for inventive directors with a solid grasp of tempo. There’s more to the episode than these scenes I chose to highlight; the sound effects are particularly on point, he left room for some expressive character acting, and the delivery of the twist is effective enough to leave an impression even if you’re not invested in the story itself – talking from experience here! And I’m honestly fine with that. This is by no means the show I would make if I had a say in it, and not something I would recommend to most people either, but there’s something intrinsically anime about a group of very skilled people working on a self-indulgent trashy project. It can be frustrating at a first glance, but I’ve come to terms with it. As it stands, I’m currently curious about what the equally gifted Noriko Takao will do with the show next week. That’s the weird relationship I’ve built with this weird show. See, I promised a more cheerful post this week and got to be positive about a show I don’t even think is good! Even if I don’t like the fastfood thing (like I don’t like the terms “bad writing” because it means nothing), your answer makes good points. It’s rather funny to see you not liking this attitude since I think it is the purpose of this blog. (And analyzing in general). Even if there is fanservice I think Occultic is really a good thriller. But if you don’t want to be immersed, you won’t be. I think making an effort to interpret everything in media is healthy! It’s trying to justify possible shortcomings that I feel is disingenuous, and puts you at risk of associating exclusively ‘things I like’ with ‘meaningful&progressive’, rather than embracing what they are. I didn’t even bring up fanservice as a personal annoyance – it honestly doesn’t bother me at all, but it’s part of the list of elements that seem to be alienating many people. I think the problem with the idea of staff being “wasted” (aside from being a silly and childish concept) is that it dehumanizes creators. Of course not everyone involved in a project chose it because they like it, but if they happen to enjoy something then who are we to say their efforts are misguided? 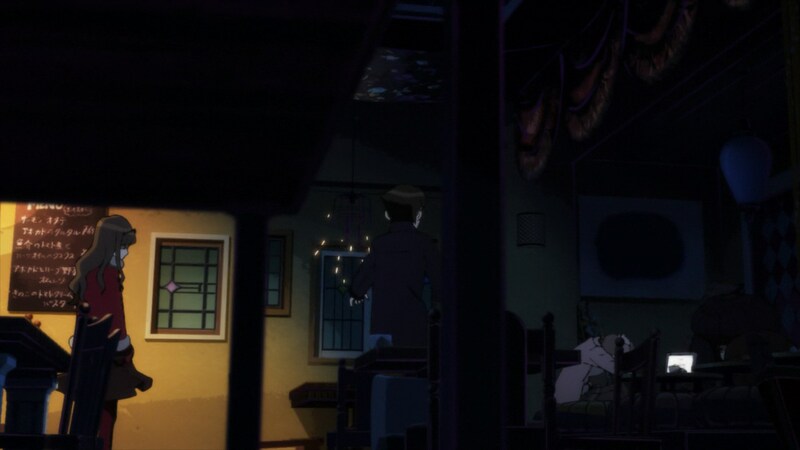 What Your Lie in April episode did Nishii animate solo? I only knew about Kojima’s Episode 5. Episode 10 was a Nishii solo 1st KA (all layouts and like 90% of rough cuts iirc). Nice I’ll have to rewatch that one. His solo ep of Occultic;Nine was quite impressive. I distinctly remember the layout work, though it obviously wasn’t as impressive as his best cuts in isolation. Nishii’s damn good. Direction in O;9 is great for most part, but boy did episode #5 overuse the 90 degrees tilted shots. 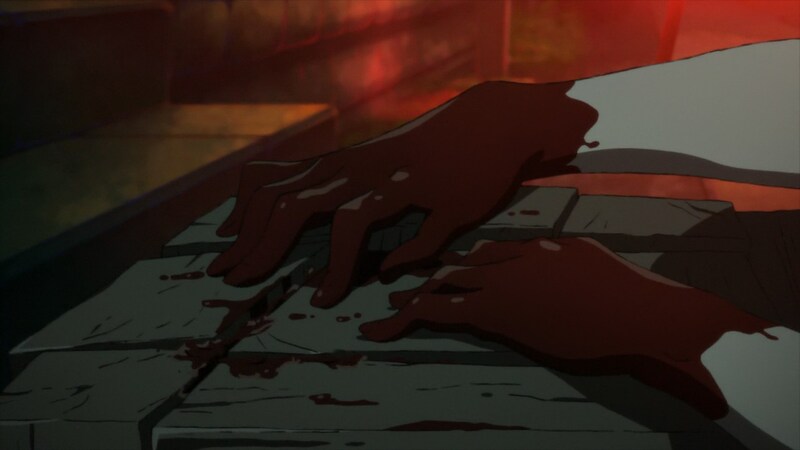 It actually made my head hurt from just watching, and not even the pacing of ep #1 did this to me. Yeah, can’t say I was a fan of what the previous episode did with those. 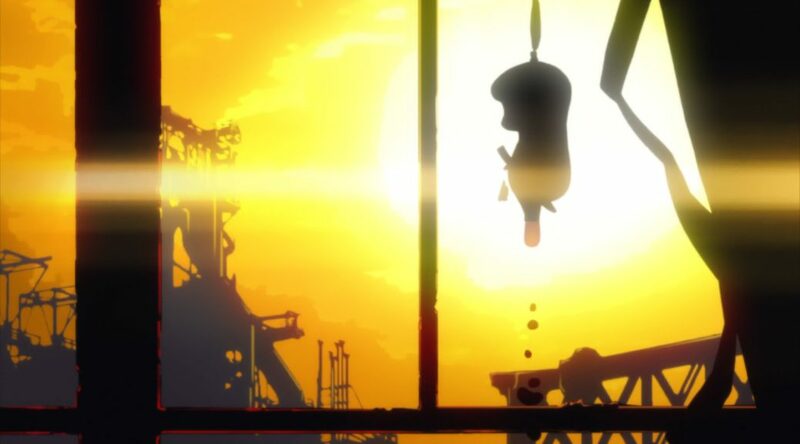 Kanbe’s an experienced storyboarder but it kinda felt like he struggled to keep scenes conceptually interesting and simply made it a bit annoying to watch. What’s so trashy about its writing, exactly? There’s no effort made to mask how deeply rooted most of the dialogue is in 2ch culture (not to mention Yuuta being a caricature of the posters there), so half of it feels like it’s there just to get the “Nice reference LOL!” reactions, not to mention making conversations obnoxiously hard to follow for no real reason. It feels like someone took the Chiyomaru dial and turned that badboy far past its limits.